Overview – The global luxury travel market is one of the biggest segment in the tourism industry. It is expected to garner $1,154 billion by 2022, registering a CAGR of 6.4% during the forecasted period 2016-2022. 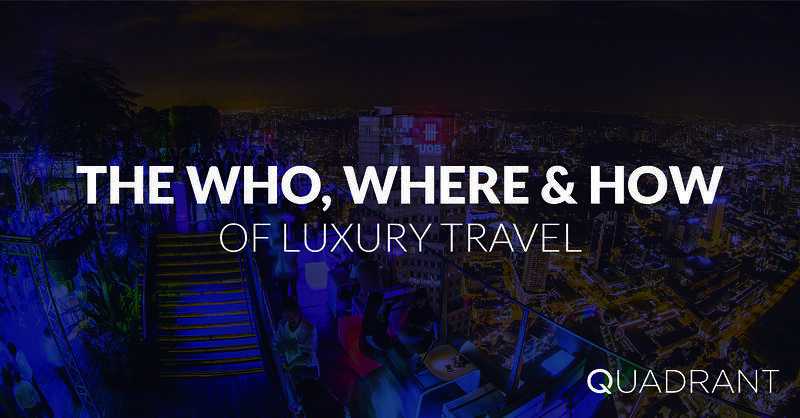 As the luxury travellers segment of the tourist industry grows bigger every year, travel brands need to reach new potential customers to tap into this rich source of revenue. Who are these luxurious travellers? Where do they regularly visit? In this industry meet up, we seek to find ways to identify big spending tourists, find out where do they commonly visit or stay. And what are their spending behaviour like. The insights and findings could be used by all businesses in the Leisure and Travel industry to reach and attract these high flyers. Click on the link below and join us this 25 April for a fireside chat on how location data can help airlines, hoteliers, destination companies understand the buying patterns and behavior of the potential luxury travellers and using it to drive impactful business decisions. A marketing professional with four years of experience based in Singapore. Navas facilitates an internal "user persona" workshop with the sales team to identify users based on behavioural traits and also identify and mapped out the "user journey" schema for various personas. In addition, Navas helped co-create marketing framework for clients' products and now leads all marketing activities for the expanding business. He is a firm believer that the right information at the right time makes all the difference, and is passionate about the future of the data space.